1) Try to connect to different servers. It is possible that server you need is not available because of being updated or there are some technical issues with it. If you were able to connect to other servers then please let us know about specific server problem on our forum http://forum.playwildterra.com and we will try to fix the problem as soon as it possible. 3)If you use Windows please do following: press windows button with X, choose command line, type ipconfig /flushdns press enter. In case you use routers (wifi routers) reboot it by switching off for 10 seconds from power lines. Reboot your PC after both operations listed above. 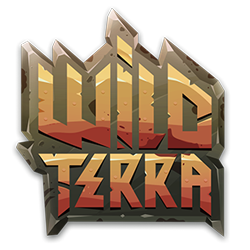 4) If you still can’t connect to test servers after connection reset write us an e-mail for support@playwildterra.com with your problem description. Write us your internet connection type (ADSL, LAN, Mobile etc.)? your operation system (Windows, mac, android etc.) and .log file from game directory. press enter. Attach this screenshot with info you’ll get to support letter. Do it only with region u need to play. There is no need no to do all 4.